Themes include Circus, medieval, Victorian, Halloween, Christmas and many others not listed here. If you have a themed event please contact us as we can provide stilt walking acts for most themed event. We provide a range of stilt walkers who perform additional skills in their performances. Skills can include juggling, balloon modelling, riding a stilt bicycle and playing music. In addition many of our stilt walking acts can perform other skills in separate sets during an event. Skills performed separately include juggling shows, balloon modelling, circus workshops, Uni-Cycling and fire skills. 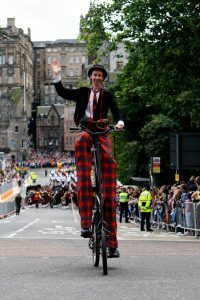 So, whether it’s a private party, themed event, promotional launch, Gala Day, Street Party, Parade or corporate function, why not try our incredible stilt walkers and wow your guests!